Director Srijit Mukherji’s latest venture Begum Jaan has been released released this Friday at box office with limited number of 1100 screens across the country. Vidya Balan starrer this action drama received favorable response from fans as well as most of the critics due to strong performances given by the leading actresses. But still got failed to attract audience toward theaters and major reason behind this is adjacent American offering Fast And Furious 8. On the opening day with overall 20-25% of occupancy, Begum Jaan registered the average opening of 3.94 crores, while Vidya’s previous releases Te3n and Kahaani 2 did the opening business of 3.97 crores and 4.25 crores respectively. On Saturday instead of showing growth, the movie faced a dip and added the amount of 3.51 crores to it’s account. On Sunday with little jump, Vishesh Films’ production managed to collect the amount of 4.03 crores and made it’s opening weekend total business as 11.48 crores nationwide. Now the movie has entered in weekdays and faced an abrupt decline in footfalls. On Monday, Begum Jaan witnessed around 53% of drop than Friday and minted 1.87 crore to make it’s 4 days domestic total as 13.35 crores. 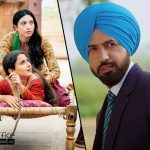 While the Punjabi movie Manje Bistre starring Gippy Grewal and Sonam Bajwa, reported excellent performance throughout the opening weekend in India. It received amazing response from fans as well as audience and witnessed highest contribution from Punjabi and Delhi regions. On the opening day, the movie registered the highest opening of Gippy’s career so far with 2.25 crores. With almost similar pace, Baljit Singh Deo’s directorial minted the amount of 2.18 crores on Saturday and 2.59 crores on Sunday. 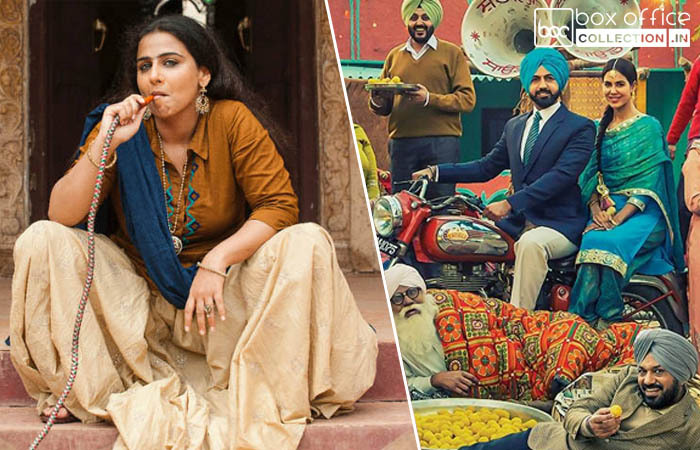 After the weekend, Manje Bistre garnered the amount of 7.02 crores, which is the third highest opening weekend business of Punjabi cinema so far after Sardaar Ji 2 (9.10 crores) & Sardaar Ji (8.47 crores). Now Gippy starrer has entered in weekdays and faced usual drop due to normal working days. On Monday, it faced around 44% of drop than Friday and minted the amount of 1.27 crore. With this, 4 days total collection of Manje Bistre has become 8.29 crores on domestic box office. From overseas market too, it has reported quite excellent business.